This elegant natural wreath is made of beautiful, sturdy, local birch branches that have been individually hand painted a bright white. 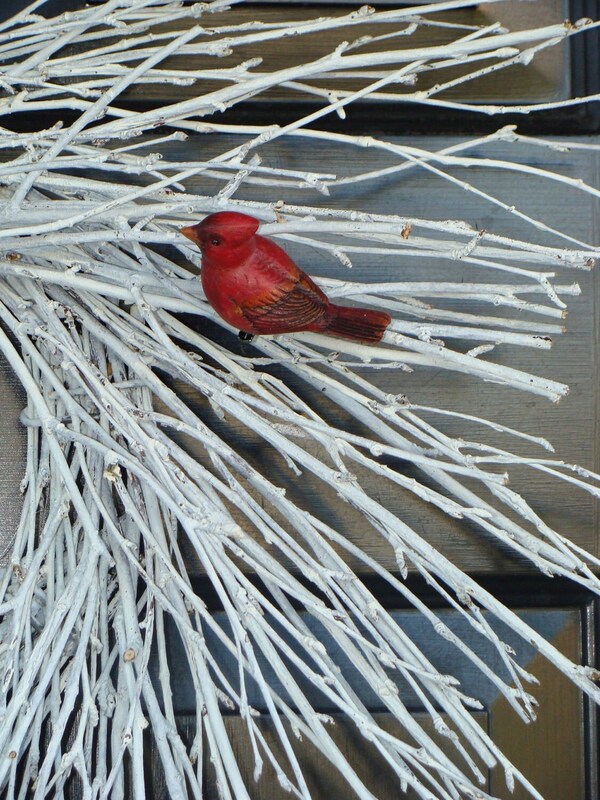 I've added three natural looking cardinals to add a touch of color and complete the wreath. It reminds me of a snowy winter wonderland. 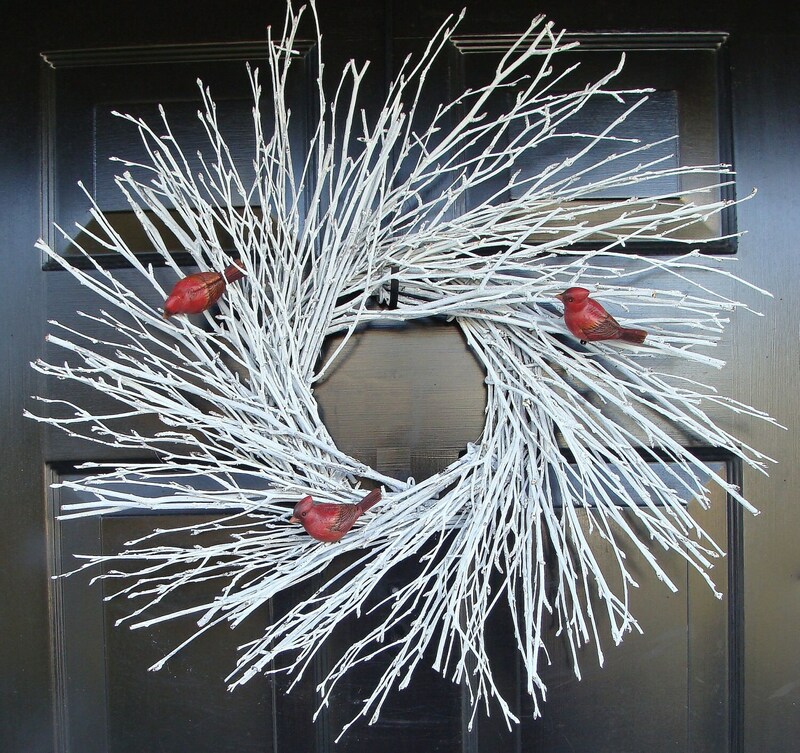 Use from December through February as a natural looking, elegant wreath for your front door or indoor space! 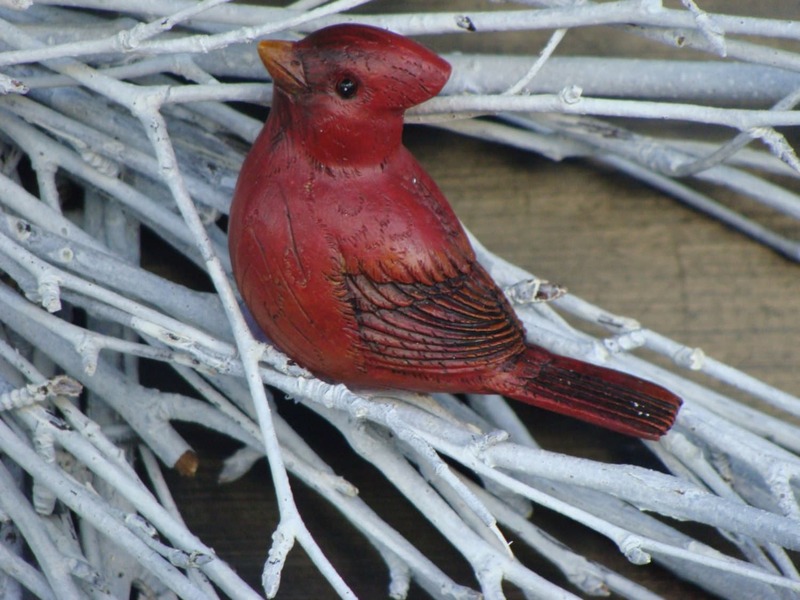 Measuring 24 inches and 5-6 inches thick, this wreath is for indoor or outdoor use. Gorgeous!! Beautiful wreath and exactly what I was looking for. Very quick delivery. Would definitely order more wreaths in the future. A very nice wreath that looks great on my house. The wreath shipped on time and arrived promptly. 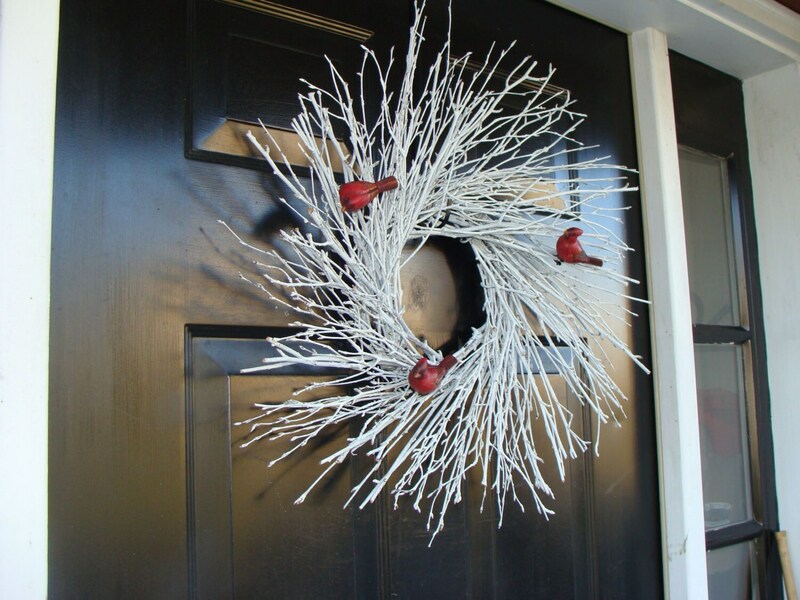 I highly recommend this wreath and this seller. 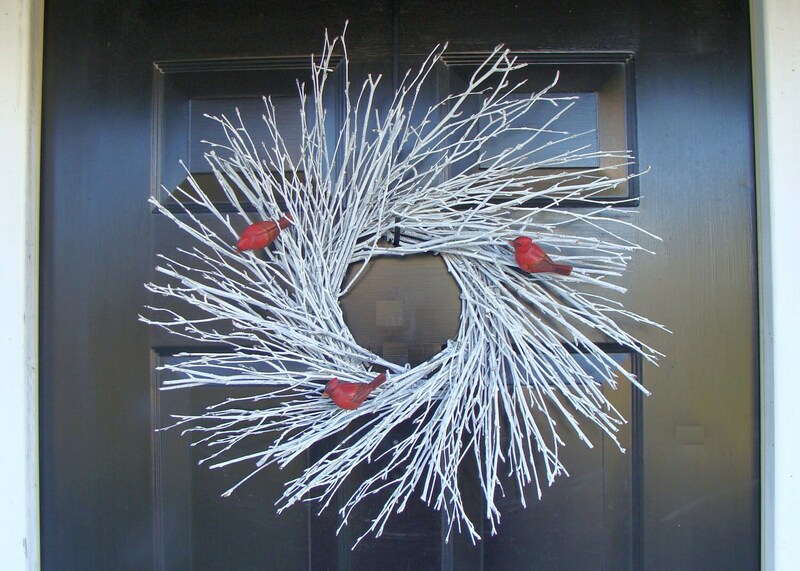 Love the simplicity of this wreath! Also was happy the birds were left unattached because now I can move them around and use just one of them if I like. Thanks! Arrived just as shown; was packaged very well. Very beautiful against my black front door! Thanks!